When it comes to delectable, authentic tacos, Texas is truly king. From tacos made with tequila shrimp and jalapenos, to breakfast tacos bursting with eggs, beans, and bacon, Texas’ great taco joints will delight your taste buds. While it’s nearly impossible to narrow down all of the Texas taco options to 10 of the greatest, we’ve done our best to do just that. Enjoy. Del Norte Tacos in Godley, Texas, is run by self-described “Authentic Texas ranchers” who simply love good tacos. Stop by for your next special event, to schedule catering, or for the regularly scheduled live music. The menu is extensive, with burritos, nachos, and quesadilla options, but, as one might expect, the tacos take center stage. If you can only try one, we recommend the Del Norte Taco, made with a double corn tortilla and served with fresh onions, cilantro, and lime. Add protein for a slight upcharge and bask in the taco of the century. Lone Star Taco in Houston, Texas, was founded on the belief that they could do tacos differently. 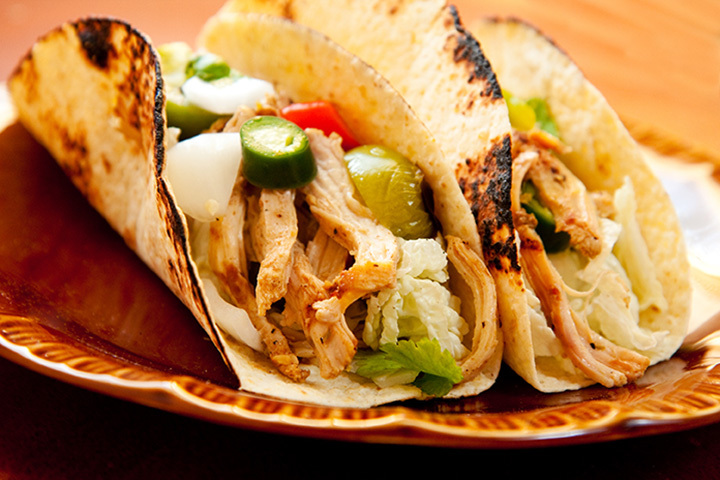 Lone Star offers the best of Tex-Mex, with fresh ingredients infused in every aspect of their tacos. Build your own taco out of six different protein choices, cheese, and a ton of other toppings, or go for one of their recipes. The Yankee, made with charbroiled tequila shrimp and topped with shredded cabbage, grilled jalapenos, mango, sour cream, and cilantro, is worth the trip alone. Don’t overlook their breakfast tacos, either. Los Gallos Taco House is straightforward in their aims: to provide good food. Their menu includes a wide variety of breakfast tacos, including egg, bacon and egg, potato and egg, chorizo and bean, and many more. If you’re coming in for breakfast, we recommend the Super Tacos #1, served with your choice of up to four of items including eggs, bacon, cheese, bean, potato, or chorizo. But don’t take our word for it: Los Gallos was the Herald Zeitung’s Reader’s Choice in 2015 and ranked in the top 10 of the Texas Hill Country Mexican restaurants. Fajita Taco Place, with four locations in San Antonio, is a no-frills, down-to-business taco restaurant. According to their website, their “recipes are authentic and time testing” with fresh ingredients and a “menu that bursts with flavor.” Stop in for breakfast, lunch, or dinner. Breakfast tacos, fajita tacos, and dinner tacos, served with white rice, fries, or salad, are always on the menu. Torchy’s is taking the taco world by storm. With 15 locations, including eleven in Texas, you’re never far from a fantastic Torchy taco. Stop by to check out the rotating taco of the month, or go with one of their regular offerings. The menu is sourced locally and as such often changes: The Barn Burner, for example, served with grilled fajita beef, chopped bacon, manzano chili salad, Texas artisan goat cheese and cilantro, is only available until the end of August. For a regular standby, try Mr. Pink, served with ahi tuna, cabbage fresca, cotija cheese, cilantro, and a lime wedge. Fuzzy’s Taco Shop opened in 2003 in Fort Worth, Texas, but has grown to over 100 locations throughout the United States. Just because they have more locations, doesn’t mean that the quality has suffered in any way. In Texas, there’s a Fuzzy Taco on almost every corner, serving up traditional crunchy and soft tacos, as well as super tacos and many other fast Mexican dishes. El Come Taco serves up authentic street tacos across the Dallas, Texas area. They’ve been featured in Texas Monthly, the Dallas Observer, Foodies Be Trippin, Utrip, Zagat and more. For traditional options, try the chicken or beef tacos. But if you’re more adventurous, you’ll find cow head, tongue, and veal brains on the menu. Make sure to read the menu carefully before ordering. El Tejavan’s tacos come al pastor, meaning that the meat is served from a spit-grill, shawarma style. El Tejavan has two locations in Amarillo, originally opening up 20 years ago as a convenience store. El Tejavan offers breakfast, lunch, and dinner, so stop in for any occasion. Taco-Mex, the “Home of the Perfect Taco,” has three locations: one in Pflugerville, one in Austin, and one in Hutto, Texas. Taco-Mex might be a hole in the wall, but their cactus and egg taco has received numerous accolades for its perfect execution. Snowbite might look like a Vietnamese restaurant (it is), but they also serve some of the best tacos in Texas. According to Texas Monthly, “The savvy folks at this Vietnamese joint noticed that pho happens to contain the requisite ingredients for a terrific fusion taco: marinated eye of round, bean sprouts, jalapeno, cilantro, basil, and onion.” If you’re in the mood for a different kind of taco, then you won’t get much different, or delicious, than this.